I am Mrs. West, the art teacher! I am very excited about diving into some great art activities with the 6th, 7th, and 8th grade art students this year. 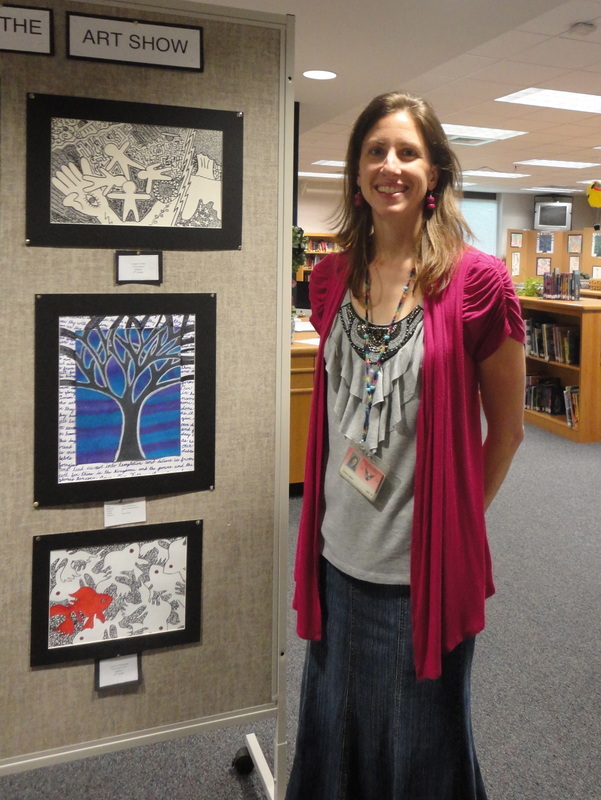 This is my 16th year teaching art! Elkton Middle School has been my base school for 14 years! I am originally from Syracuse, NY. I studied art education at Roberts Wesleyan College, in Rochester, NY. After I graduated college, I taught art for two years in South Carolina before falling in love with the Shenandoah Valley and making it my home. In addition to teaching art at EMS, I have also had the opportunity to teach art classes at Elkton Elementary School, and East Rockingham High School. Sometimes I was even able to teach other subjects such as Computer 7, and Alternative Education, but my first love has always been ART! I am also a coach! Currently I coach cross country at East Rockingham High School. I have also coached cross country and track at EMS, track at SHS, and cross country, track, and cheerleading in SC. Athletics are a big part of my life, as I ran cross country and track and field at the college level for Roberts Wesleyan College. I was a NCCAA National Champion in the triple jump….my favorite event!